I'm going to have a monthly competition for a little while to 'deal' with some things that I have that I don't need to have. 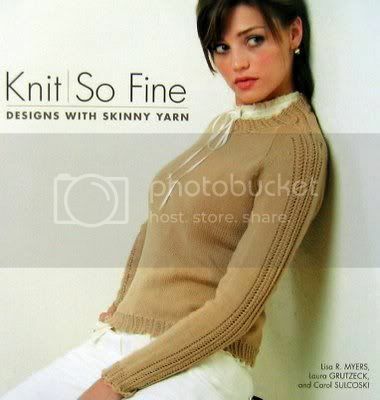 Everyone who leaves a comment over the next week will go in a draw to win a copy of 'Knit So Fine' Designs with skinny yarns, just released by Interweave Press. Its a lovely book but somehow I've ended up with two copies. Its going to be a big knitting and sewing up weekend, some of which I won't be able to show, but hopefully some which I will. My big excitement today though is going to the kitchen showroom to see the designs for our new kitchen. I am thinking of PURPLE doors, which sounds madness when I say it but in the showroom and in the brochure it looks fantastic. Its aubergine really and will be able to have eau de nil or duck egg blue tiles with it. My favourite colour combination. I will hopefully have some photos later to add to the post. I had just finished a college course and I was a struggling designer working for myself. Go and view the designs for my new kitchen. meet with the plasterer and try not to faint when he gives us his price - dito for the kitchen! Work on two commissioned designs for a book. Move mountains of yarn from one room to another so that we can actually sit down. Help Charlie revise for her science GCSE. All crisps but particularly Thai Sweet Chilli, cashew nuts, cheese, fruit, yoghurt. I've never had money so I must admit its very hard to imagine, but I would like to think what I would stop doing is, worry. Then I would buy some land preferably with a wood and water and have a small holding. I am the first generation of my family not to have had pigs and I would like either Saddlebacks or Gloucester Old Spots, chickens, ducks, some Highland Cattle and of course sheep. Look after family and friends and knit, paint and write more. I haven't lived in many different towns or countries but with my ex husband moved 14 times in 13 years. I have now stayed put for three years and its lovely. Don't forget to leave a comment this week for your chance to win 'Knit So Fine' and have a lovely weekend. There is a lot of frantic knitting going on behind the scenes, but so much of it I am unable to share, which is so frustrating but them's the rules. However, I finally managed to take some photos of a couple of WIP's which have been hanging around for a while but are slowly but surely progressing. Here's Miss Scarlett No. 2 - for me. 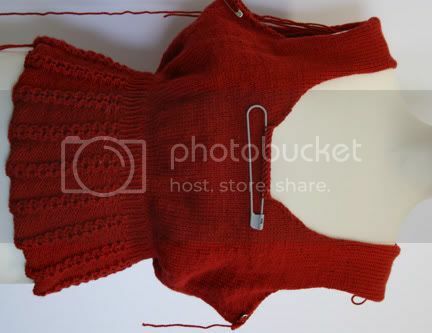 This is to fit 40 inch chest - Dita is about 32-34 so it looks rather large on her, but its looking nice and the RYC Cashsoft DK is a joy to knit with. I have a family function to go to next weekend but I don't think it will be ready for then I'm afraid. 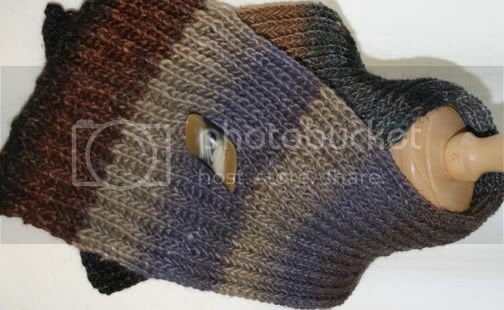 And here is my Teva Durham sweater. I thought this would be a quick knit but to be honest its not at all. I'm really enjoying knitting it (despite the 'squeeky' yarn) but every row is different and you really can't get into any sort of rhythm. I found it easier not to use a cable needle and hold the stitches on my finger instead which has speeded the process up quite a lot. and the cables are really beautiful, like a landscape in blue. The back is already done and I've started the raglan shaping on the front. The two sleeves are different to each other aswell so that's going to take time, but I do think it will be worth it. I'm also working on a 'top secret' project which has to be ready in the next week or two, and I'm using Rowan Fine Milk Cotton, which is a cotton and milk protein mix. I've no idea how they use milk protein in a fibre. All I can see in my head are the huge vats that milk is put into when first being turned into cheese and it gets stirred with a big paddle. I can imagine the cotton being put into the vat with the milk and then being mixed together.! Looks quite ordinary on the swatch , but has a beautiful handle. It actually feels 'creamy' if that makes any sense, and the drape is far superior to a pure cotton.Its a gorgeous yarn. Not particularly cheap but really really nice if making someone a baby gift and you need to avoid wool but want something softer than pure cotton. I'm definately going to use it again. garment back to Roman Holiday - the serene Audrey Hepburn and the dashing Gregory Peck. garment front to The Prince and the Showgirl - a rather bizarre Laurence Olivier and a breathtakingly beautiful Marilyn Monroe, who had the tighest, sexiest dress on throughout the film and made me proud to have a large bottom! Sleeve one and half of sleeve two - The Da Vinci code - too much set in the dark for knitting to really, but ok for stocking stitch work, and you know the story so you can sort of cope when you miss bits. Sleeve two now finished and on to yoke (?) and then sewing up. Oh, one last bit of very good news. Earlier this week my dad got the all clear from the cancer specialist and he now doesn't have to go back for twelve months. Big sigh of relief. I wrote on Valentine's Day about receiving a very special book as a present - The Lady's Knitting Book. From it I devised my version of the Tippet. When you go through the book something very unusual for a knitting book strikes you - there are no images. There are descriptions and stitch instructions to follow but no diagrams at all. 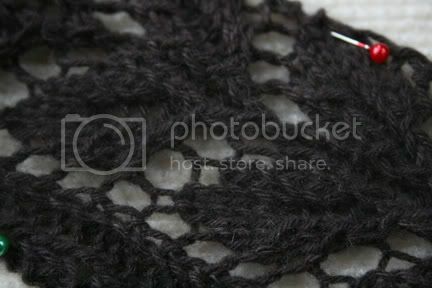 So I thought I would dip in, pick an instruction and see what it looked like as it knitted up. It is a thoroughly lovely way of knitting. The finished stitch pattern is a complete surprise. This pattern is called Rosebud Pattern Border, which forms 'a handsome border for antimacassars or baby's berceaunette covers'? 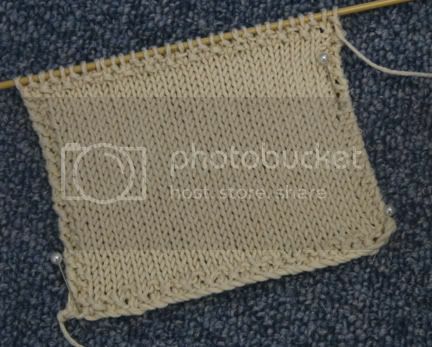 As you look at this first photo you start knitting at the left hand end by casting on 21sts. I really like the way its come out. 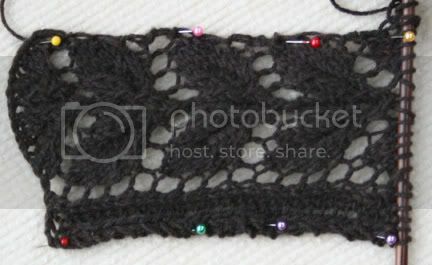 I'm adapting the border on the left hand side as you look at the photo below to repeat on the right side of the panel and for the pattern to begin on a different row so you don't get the 'lumpy' bit at the beginning and then hopefully use it either in a sock or scarf pattern. 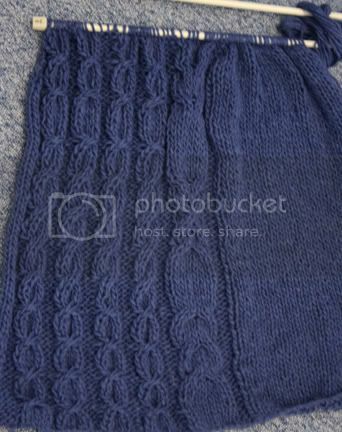 I knitted this sample using an oddment of pure cashmere from Filatura Di Crosa on 5mm needles. 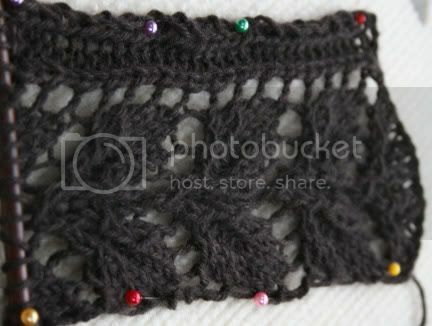 I wanted to see if lace pattern would show up on the chocolatey brown fabric and in a natural light it did so very well. I shall try and keep dipping into the book and sharing what I find. I'm very scared of using it too much though as it is so very old. You can't even open it up properly and trying to knit whilst holding the book in one hand isn't the easiest of knitting methods! 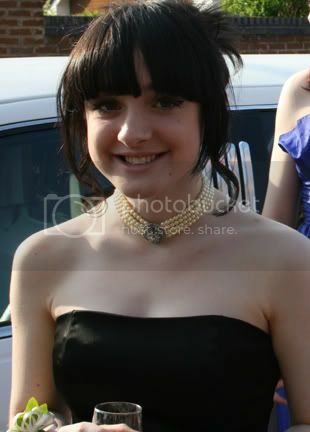 On Thursday my daughter went to her 'high school prom' before officially leaving school on Friday. She still has to attend school for revision and exams but to all intents and purposes she is no longer a school girl. Come September she will be at college. I look at her and I am so proud and so grateful. Her birthday is on the 4th August but she shouldn't have been born until mid October. I developed pre-eclampsia (toximia) in my 28th week and an emergency caesarian had to be performed for there to be any hope of either of us surviving. My kidneys had failed and I was in a dangerous state. Shortly after 9pm she was born. She weighted a little over 2LBS and her lungs wouldn't work as her body hadn't yet produced amniotic fluid around them so when she tried to breath her lungs stuck together. The doctors fought for 24 hours to keep her alive. We were fortunate to live in a health region which had access at that time to an artificial lung fluid which could be injected. (At that time not all areas did, so it was luck of the draw). I didn't see my baby for nearly three days as I was in intensive care myself and the first time I did she was bundled inside a mobile incubator with a little yellow handknitted bonnet on and I could only just about see her face. She was on her way to a special care unit at another hospital in Liverpool - it was nearly two weeks before I got to hold my baby for the first time. She has been a fighter since that first day and is an incredibly strong character (with a weak chest admittedly) and I am so, so proud of her and who she has become. 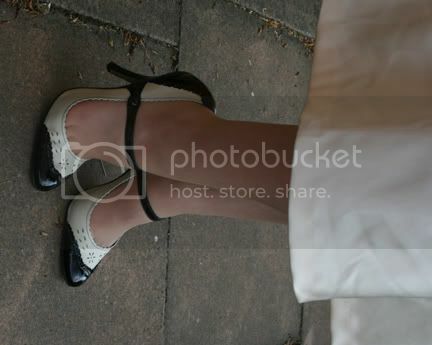 And she has great taste in shoes! By lacking, I mean that techniques like knitting in the round don't seem to be used. 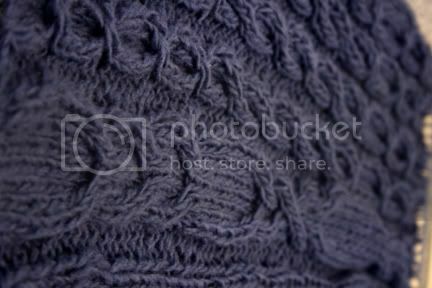 And a particular yarn might be listed, but the pattern won't identify 'worsted weight' for example". Historically printed patterns were predominantly published by yarn manufacturers and as such they wanted you to purchase their yarn. Therefore alternatives weren't offered as they expected the consumer to buy the recommended yarn. We are in a very fortunate situation these days that designers are able to publish their designs directly and not rely on a yarn manufacturer to do so. It also accounts for why most patterns from the past do not have the designer's name on them. Also on this point, yarn companies were not global. For example, Sirdar sold in the UK but not elsewhere, and there were only a limited number of yarn companies in the market place, so they knew that on the whole people could obtain them. This is indeed the case in the 60's and 70's - certainly in the UK at least. 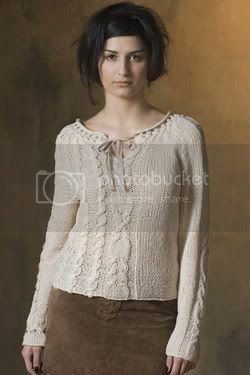 There tended to be a format for knitting patterns which involved front, back and two sleeves. These types of patterns are easier to write and grade (size) - bear in mind there were no CAD programmes to help tech editing. There was a trend towards 'simplifying' knitting and keeping techniques to a minimum. Finishing off is something else, that until the last few years, was barely ever touched on in a pattern. Going back further again to the 30's and 40's - my favourite era - patterns were often very complicated and assumed a certain level of skill from the knitter, which again meant that some things were left unsaid. Patterns were predominantly published in weekly magazines, used yarns easily available, which all tended to be of standard weights - mainly 2, 3 & 4 ply yarns, and occasionally DK. The pattern usually recommended one of a small number of yarn companies, but knowing that a lot of people actually undid something else to knit the new design instead. There were severe yarn shortages in this period due to the war so garments tended to be made from fine yarns as they go further, short sleeves rather than long, shorter bodies to take less yarn. Patterns, as I have said, were released EVERY week, and yet were still complex so often using a basic formula of front back and sleeves made life much easier for the poor, unmentioned 'pattern writer' - not designer. I hope this goes some way to explaining how lucky we are now to have the diversity of designers and patterns that we do and also how lucky we are to have the internet as it has made this diversity available to us all. All around me is dust, its on my keyboard, on my fingers, in my hair, on my clothes, in my eyes and its been like this for over a week. The builders are in both at home and at work. At home, they have knocked through into our living room and kitchen - we have nowhere to sit and nowhere to cook. At work all the plaster had to be knocked off the walls, the walls then had to be refilled and now replastered. It is absolutely awful. There isn't even anywhere clean enough to take a photograph. What this means in terms of knitting is that I have barely been able to even risk taking knitting out of its bag as the dust is settling everywhere. I am about half way up the body of my own Miss Scarlett which is looking beautiful but not growing. by Teva Durham, from her first Loop D Loop book for Tahki Stacey Charles. 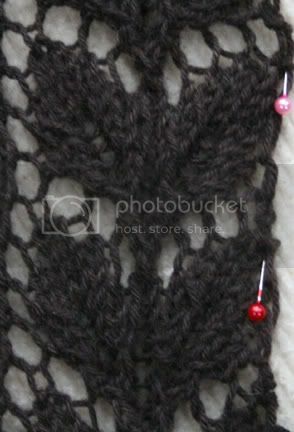 I am using her Moss yarn as stated in the pattern and I like the end result but I'm not sure I like the yarn. 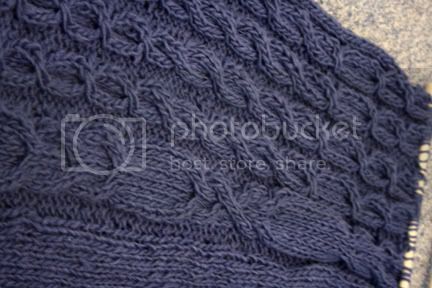 is featured pattern of the week on knitting pattern central. I'm really quite stunned and delighted. Wow! What looking through Kim's book also did was remind that Rowan Denim is a current yarn, and perfect for a design I'm working on for the next knitonthenet and I have LOTS in my stash. So thank you Kim for continuing to inspire me in so many ways.